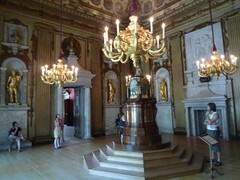 Several months ago I visited Kensington Palace and it’s a fine palace with a fine representation of medieval royalty. Do you see a trend here? Yes it’s fine but that’s about it. Perhaps I’m the wrong market? 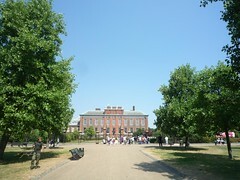 Kensington Palace appeals to the fashionistas amongst you and those with limited exposure to historic palaces. Let’s tackle the former. 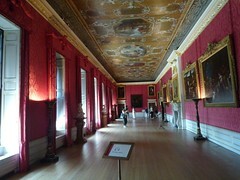 The palace has a number of exhibits covering royal dress, debutantes and Princess Diana. While I can appreciate the artistry it doesn’t particularly appeal but on my visit there were others who held different opinions. 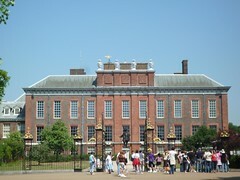 Now the latter, if you’re only in London briefly and don’t have time to visit Buckingham Palace or Hampton Court then Kensington Palace will provide a reasonable overview of the look and feel of an English Royal Palace. If you’ve been to other palaces then there’s not anything substantially new here. Or am I just jaded? 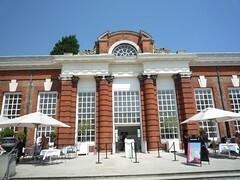 I had lunch with my family at the Orangery, it’s located in the Palace grounds and you don’t need to buy a ticket to enter. 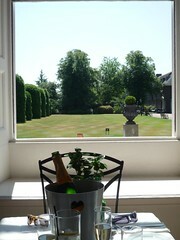 On a summer’s day it is a wonderful venue, with its long bright hall and some delicious meals. It’s a little bit pricey for the volume of food but it’s such a pleasant spot that it’s worth it. Kensington Palace can be found oddly enough in Kensington and costs £12.50 (adult) and you get a ‘complimentary’ audio tour with your ticket.